So we started developing our own extensions - Aimy Extensions. Aimy Extension are simple to use, well documented and follow the Unix philosophy: do one thing and do it well. If you are looking for a solution you have not found yet, feel free to contact us. We are glad for feedback and requests and maybe you can be part of developing a new extension. 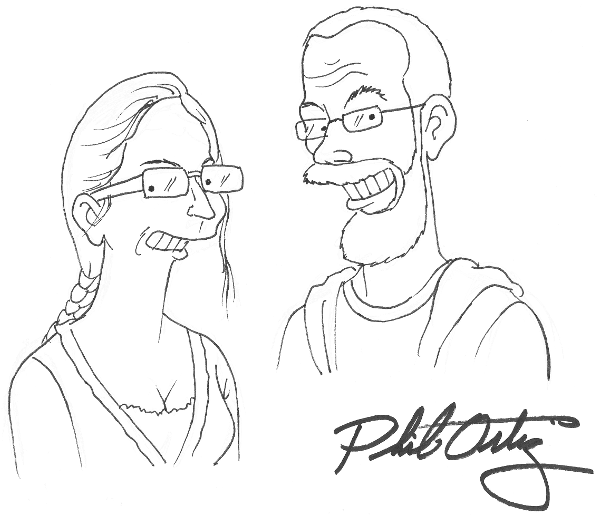 Aimy Extensions main developers, drawn in "Simpsons-style" by artist Phil Ortiz.